Live in the NYC area? Join Kat Grosshaupt, co-founder of BirthFIT, for a Pregnancy Seminar at CrossFit Hoboken in Hoboken, NJ! This seminar is for anyone who is pregnant, works with pregnant women, or if you are thinking of becoming pregnant and want the most up to date information regarding fitness and nutrition. Kat has over 10 years working with pregnant women and families. 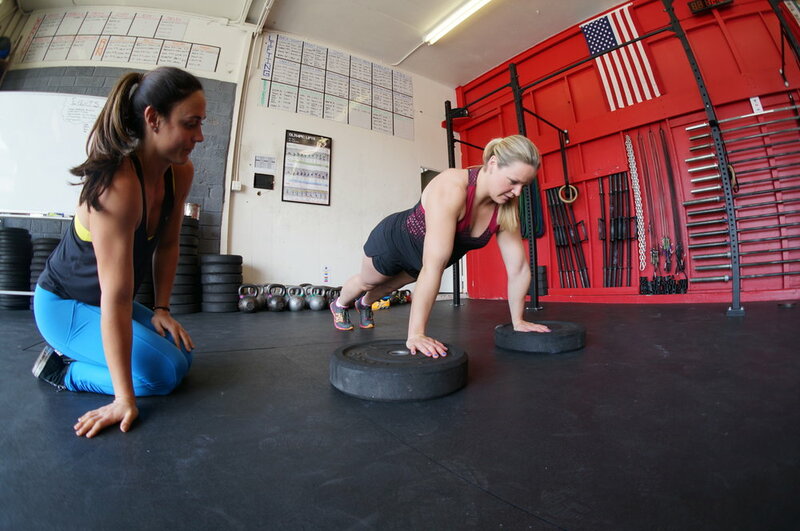 She is a Childbirth Educator, Doula, L1 CrossFit Coach, and mother of 2. This seminar is part lecture and part hands-on. We will be out on the gym floor as we learn about modifications and mobility. You will walk away armed with information as well as confidence that you are doing the absolute best thing for your Baby as well as yourself! The walking course for overhead carry should be 50 feet out and back. You will need to do multiple out-and-back trips. Overhead carry: your arms need to be completely locked out while bracing your core and walking quickly. If you would like more rest between rounds, then add another minute. The idea is go at 75-90% intensity and then rest completely. 1 comment to " BirthFIT U Workshop in Hoboken, NJ "